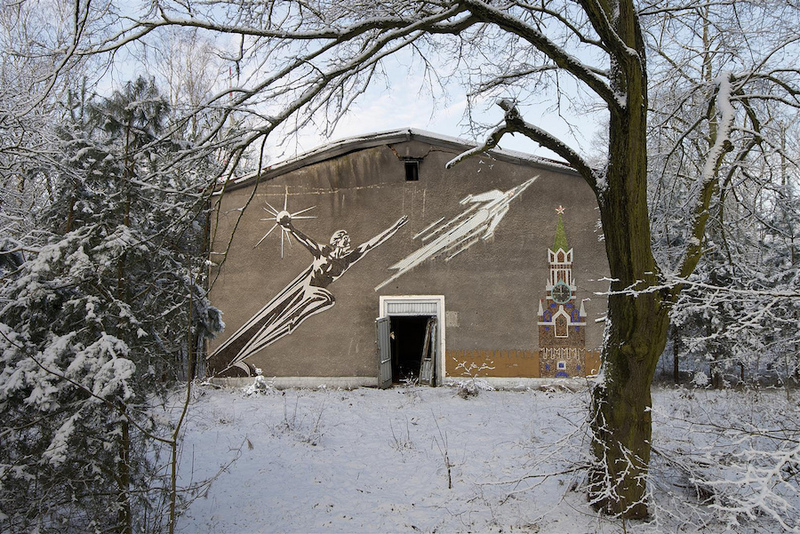 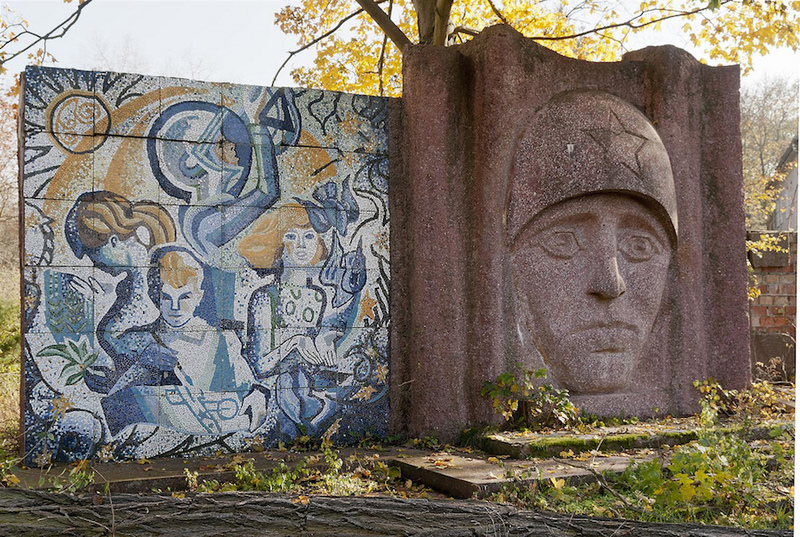 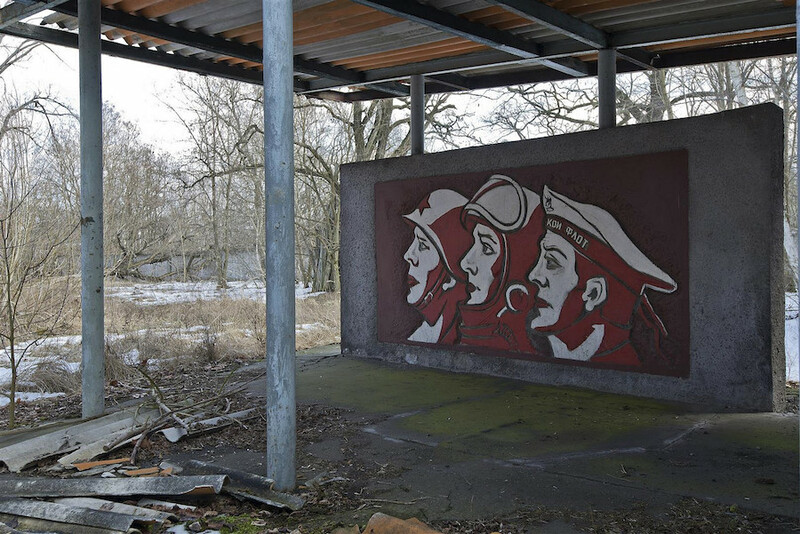 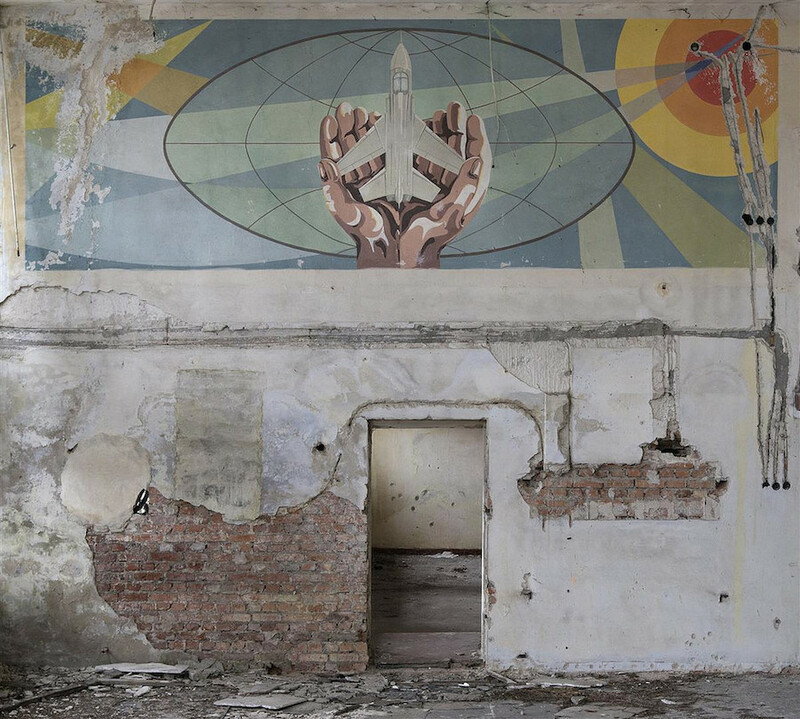 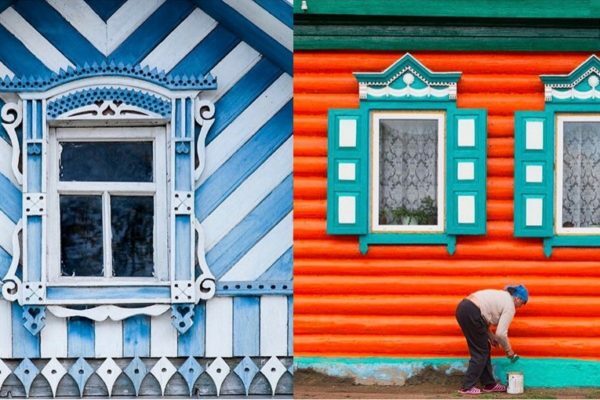 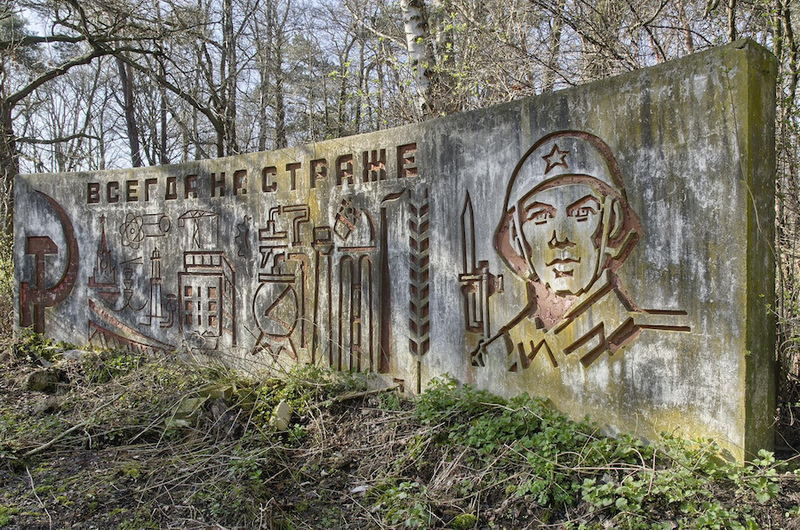 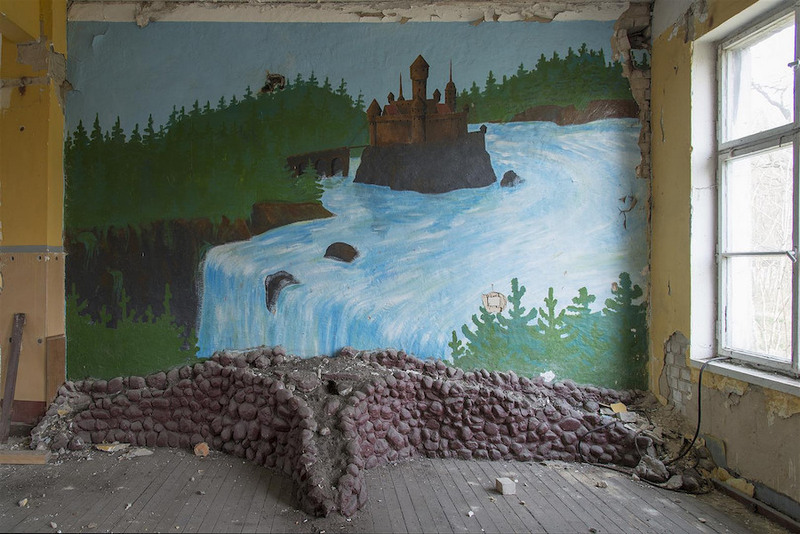 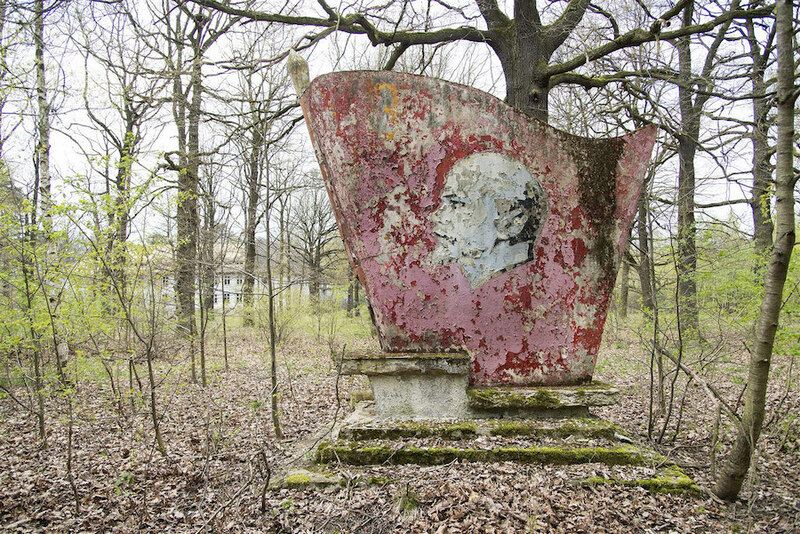 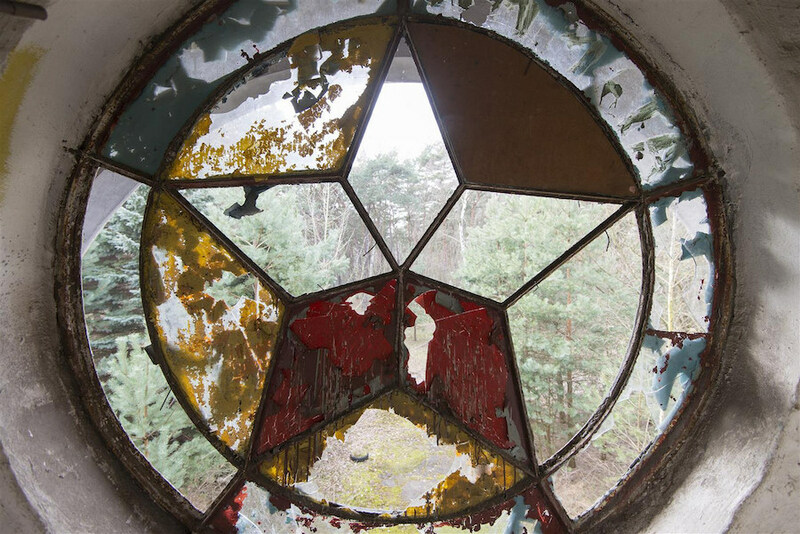 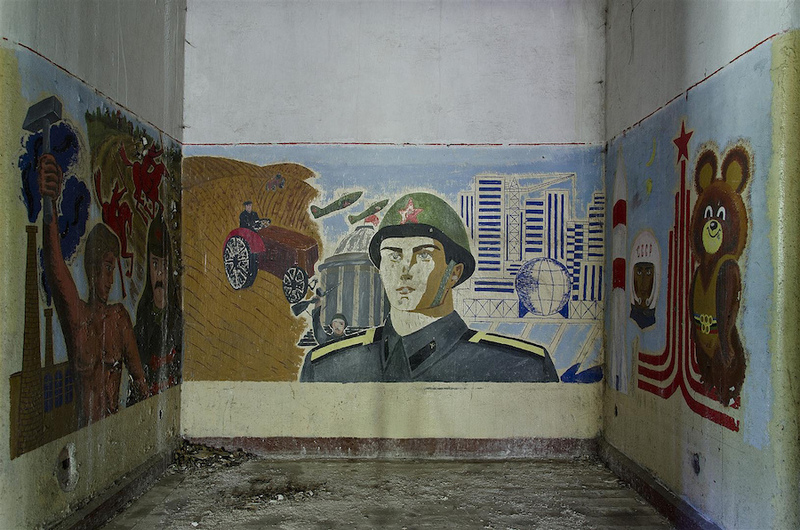 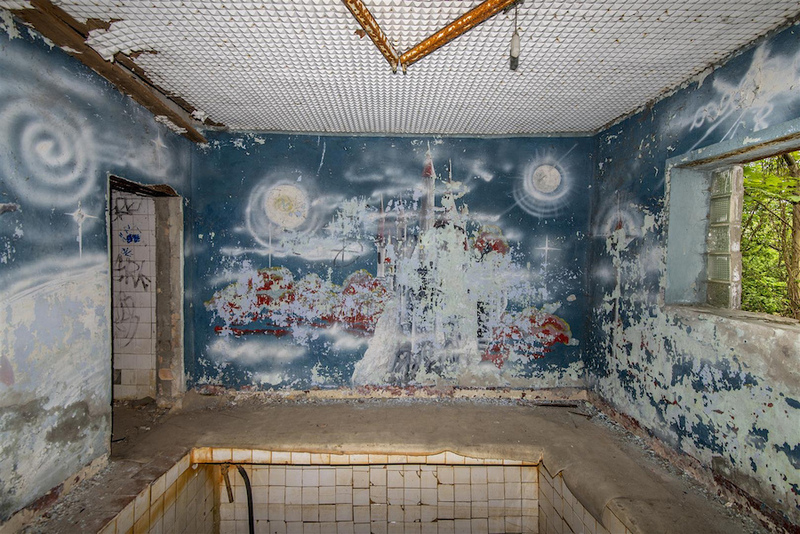 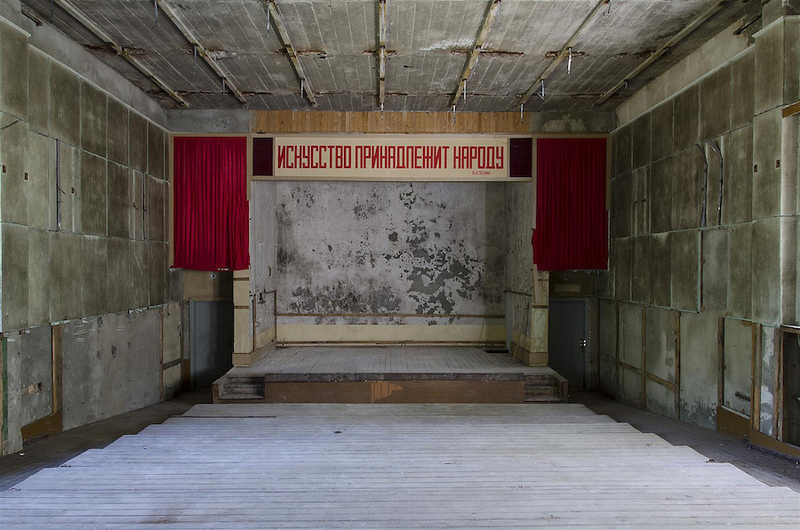 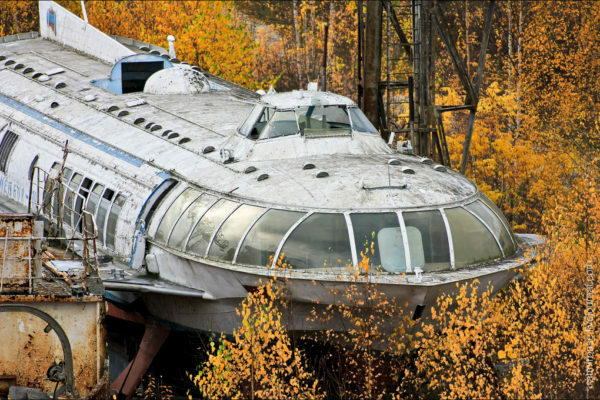 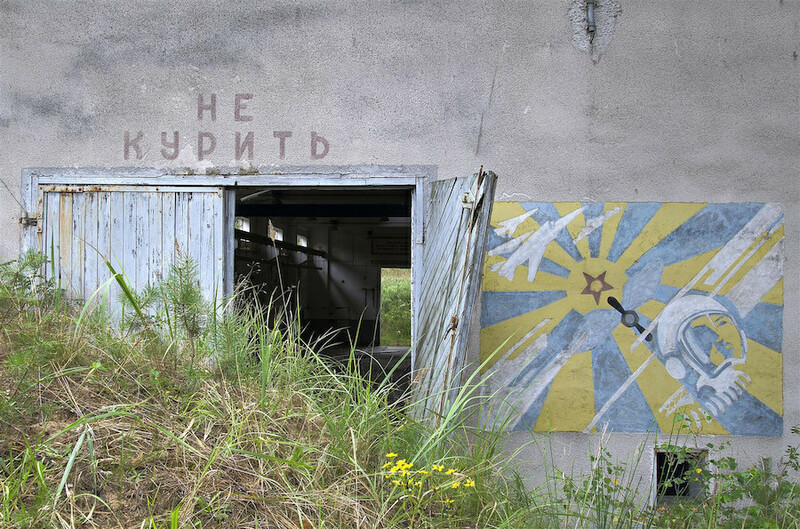 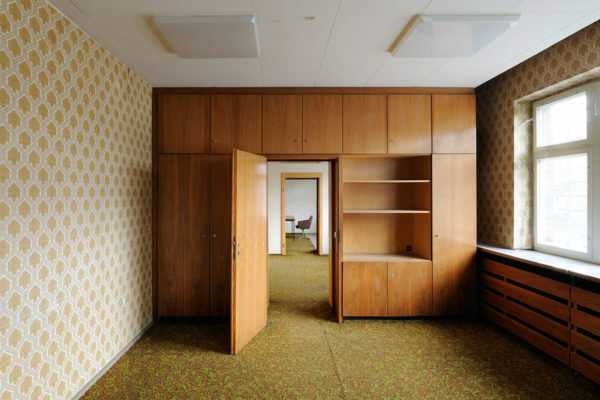 A Berlin-based explorer who goes by Chris S, has tracked down and photographed many of these abandoned Russian barracks and old military bases in his now reunified Germany, finding himself particularly fascinated by the Soviet wall murals that remain all over the infrastructure, in various states of disrepair. 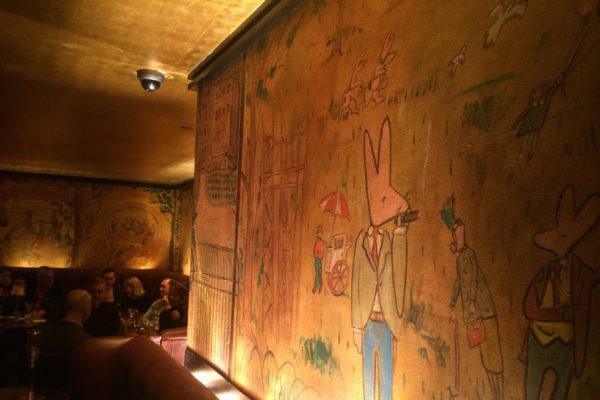 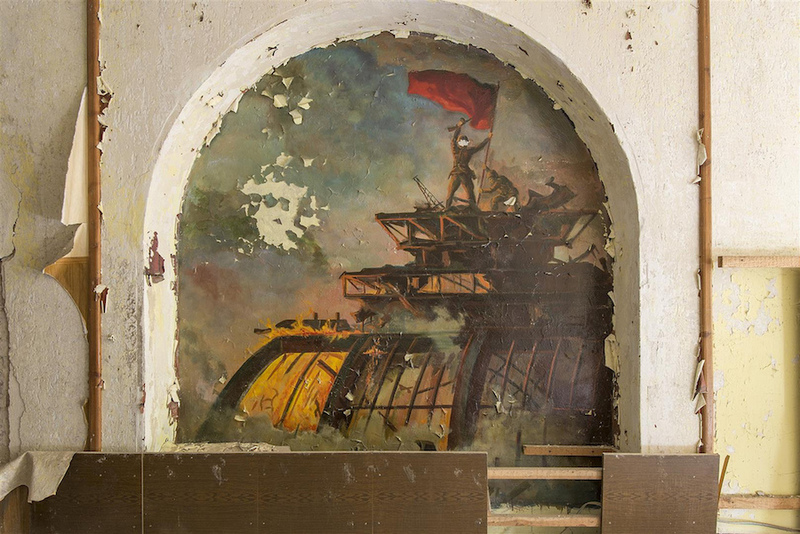 Chris often researches the background story behind his collection of murals, finding that some are based on famous old WWII photographs. 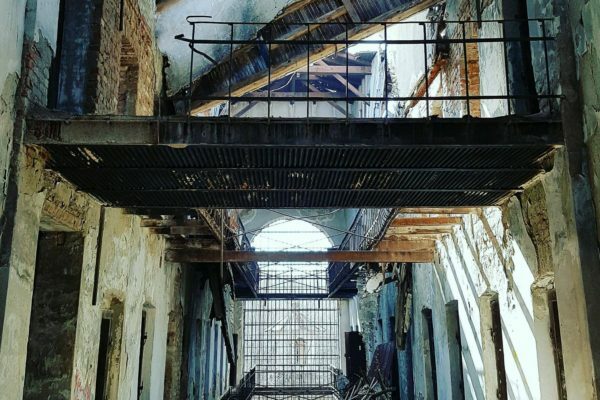 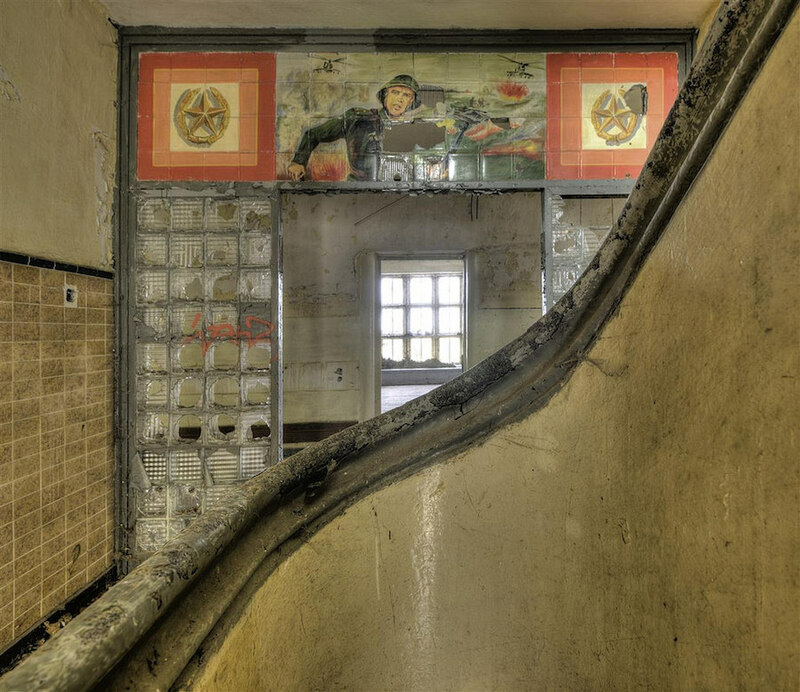 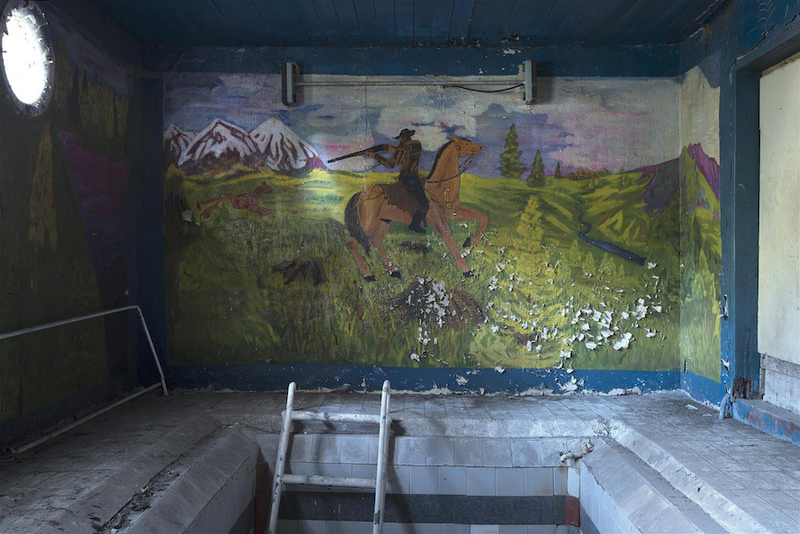 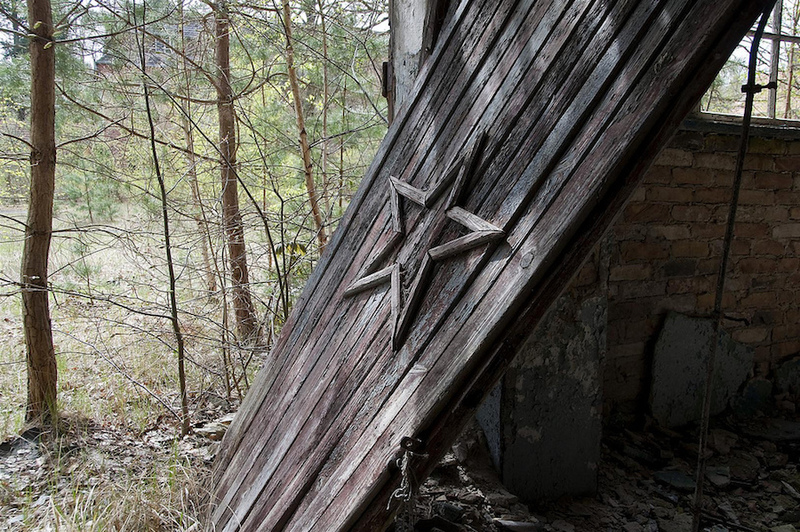 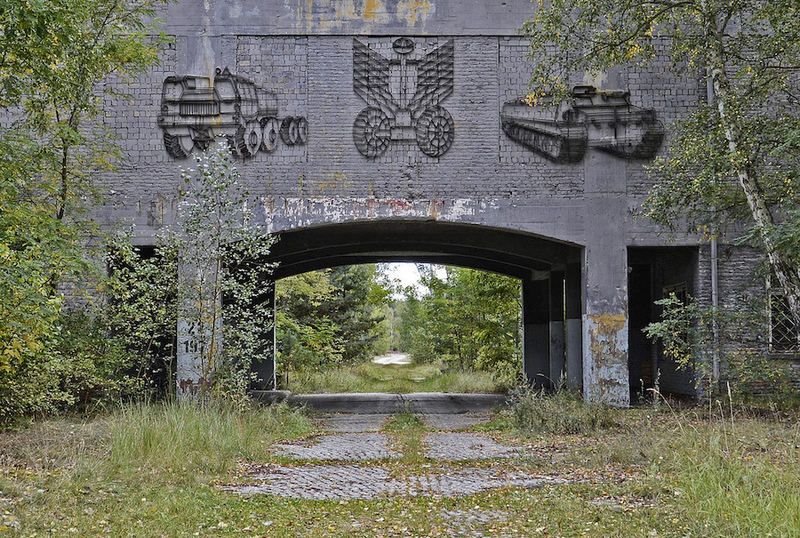 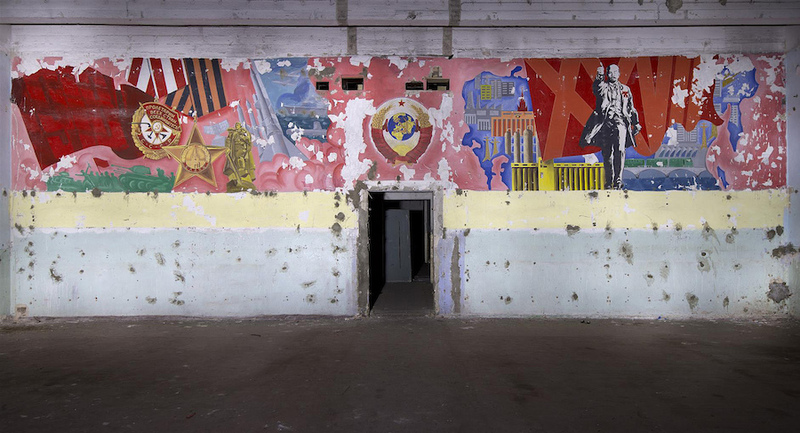 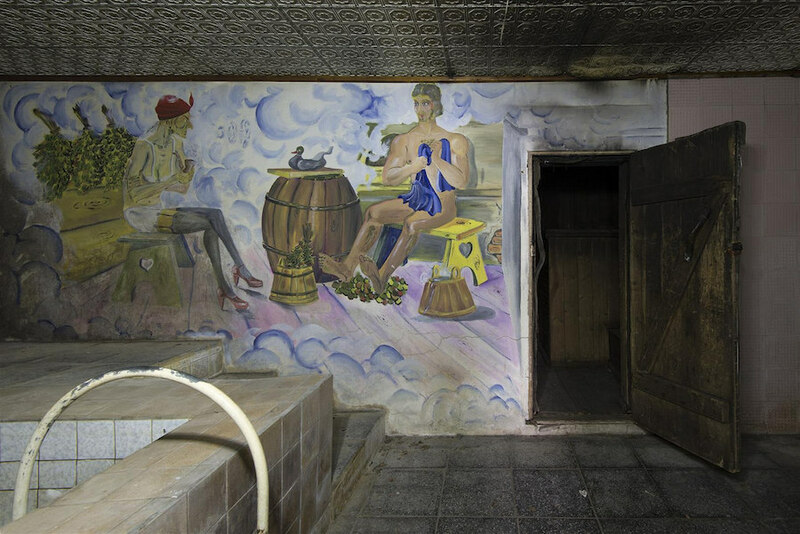 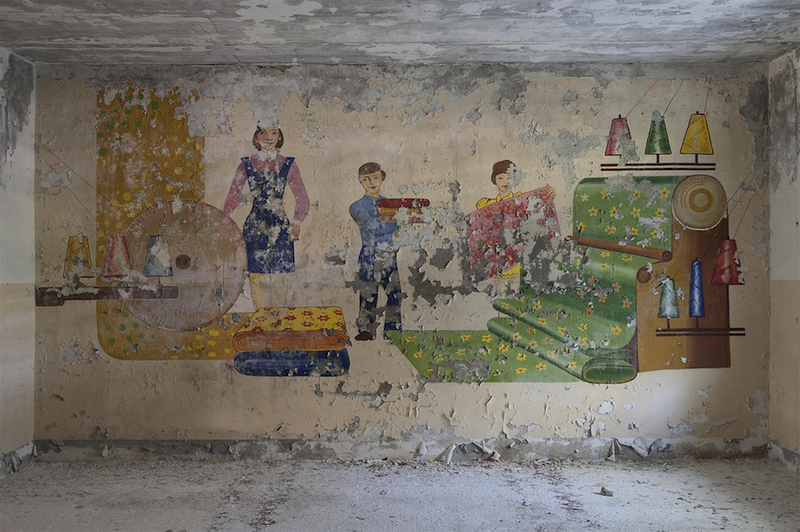 The abandoned barracks are vast, and he’s documented hundreds of murals in his collection. 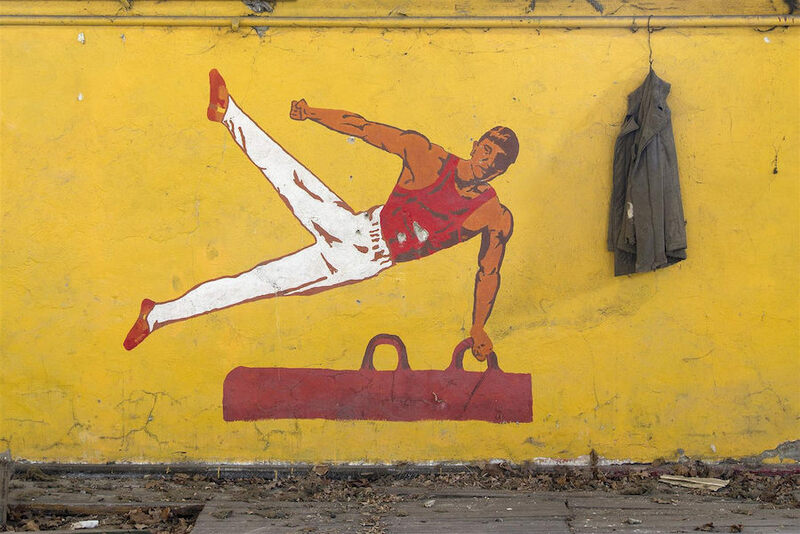 A morning exercise as mural inside an abandoned barrack. 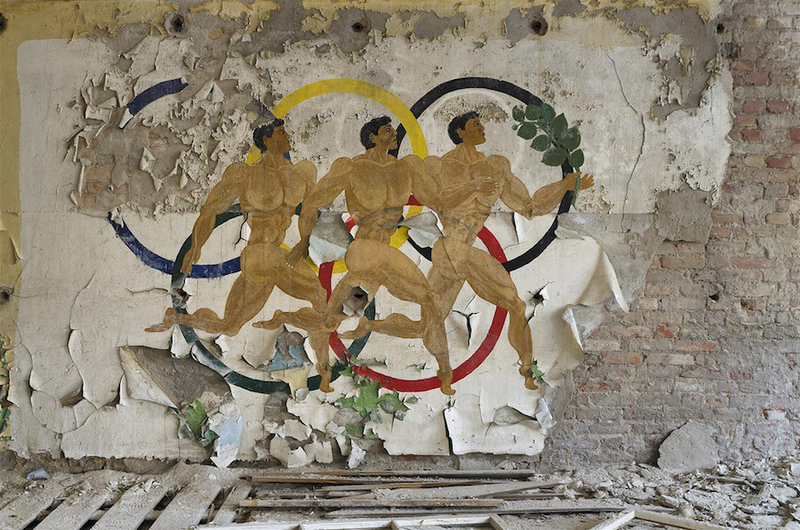 Chris also found paper version of the exercise instruction. 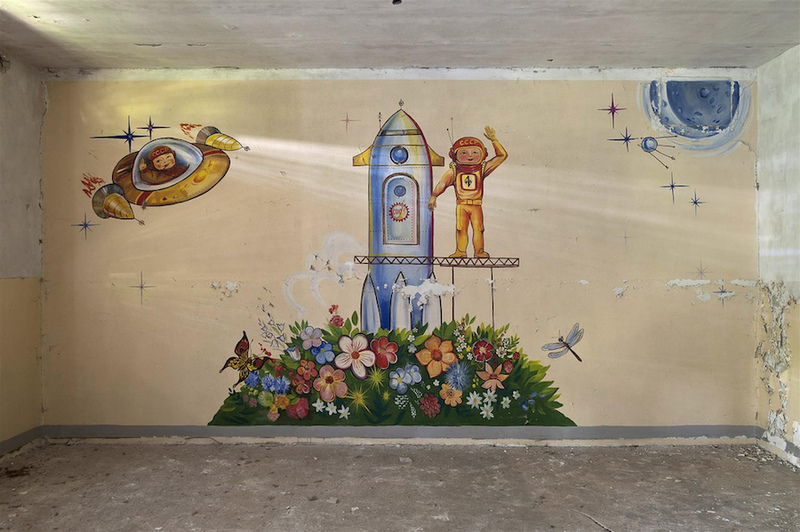 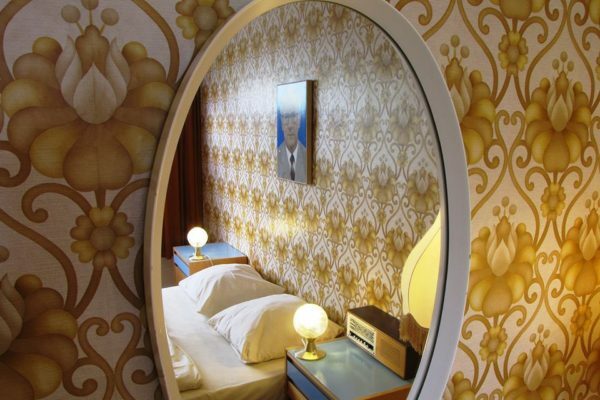 A mural combined with an artificial flower bed? 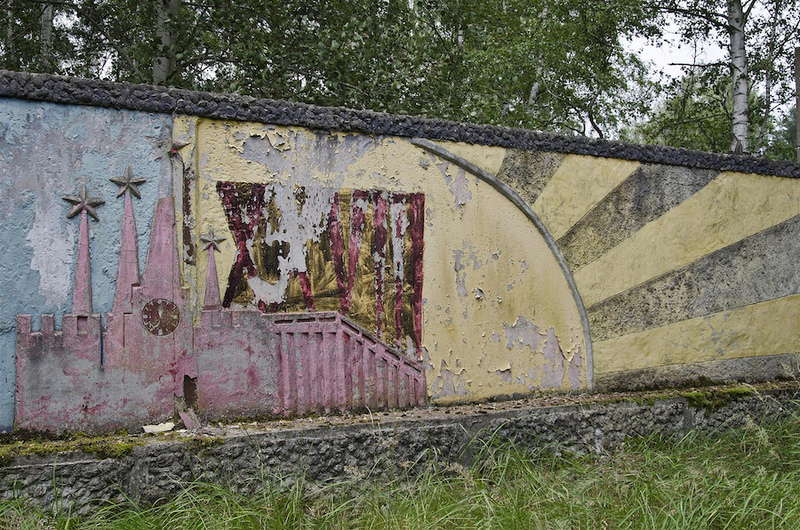 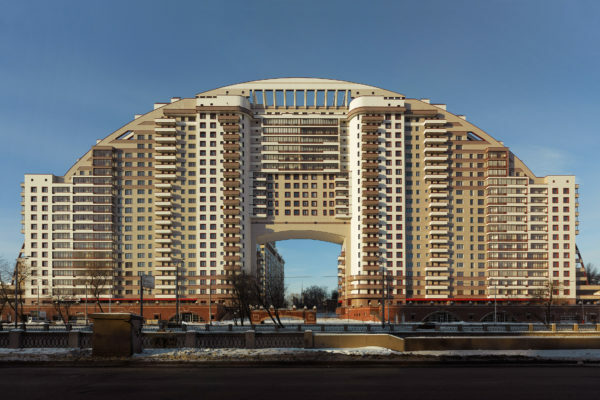 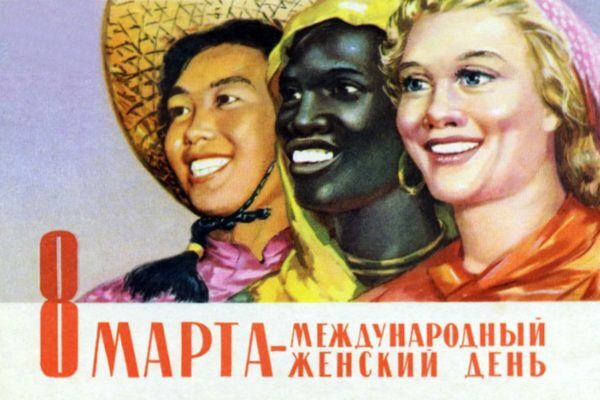 The sun is rising over the Soviet empire. 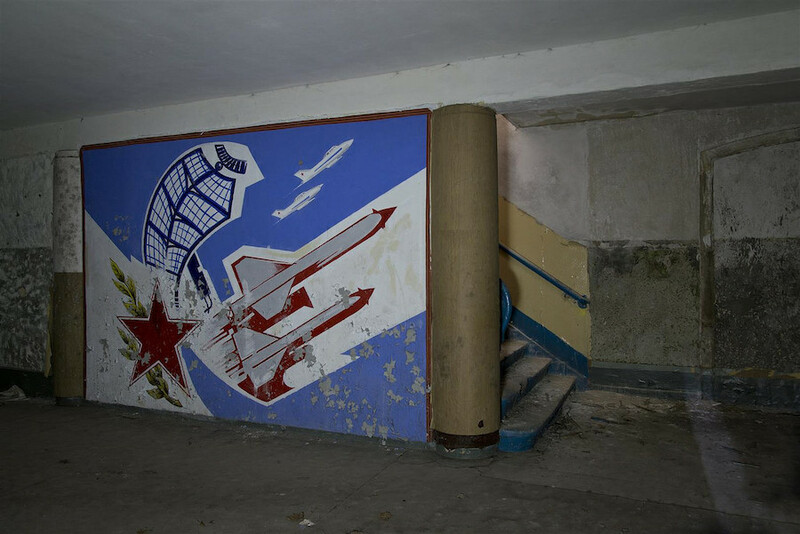 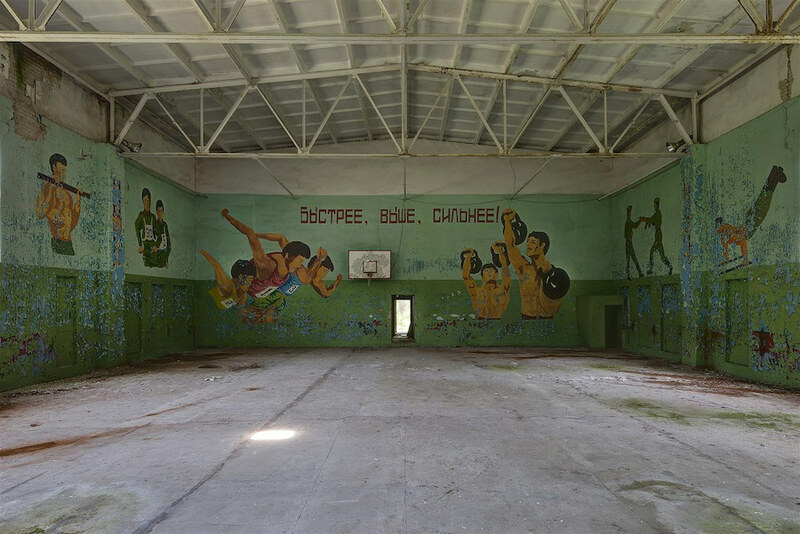 Discover Chris S’ collection of murals here and explore the rest of the Soviet barracks and bases here.